Innsbruck holiday villages offer all year long many sport climbing routes and multi-pitches of all difficulties. There are well known via ferratas on the Nordkette and sport climbing on the Martinswand in Kranebitten. Rugged rocks and steep walls provide an ideal opportunity for wonderful experiences. 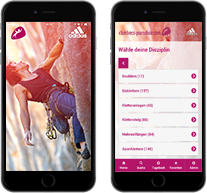 The Naturpark Karwendel is also a very popular climbing destination. Keen to go climbing? Look up your preferred topo, print it out and off you go! Welcome to the capital city of Tirol! Innsbruck has a lot of alpine charm and is very popular for visitors of all ages. There is always a lot to do – from snowboarding and skiing in winter to climbing and mountainbiking in summer. Innsbruck and its surroundings have a lot to offer for explorers of all levels. Visit the top of the Nordkette: Hafelekar. It’s a worthwhile experience both in summer and winter. You can take the train and cable car directly from the city to an altitude level of 2.256m. At the summit, there is a via ferrata and the Climbing Arena Seegrube. There are also three restaurants on the mountain, should you like a break during your adventure. Treibhaus is a popular bar in the middle of the city with a very diverse cultural event program ranging from concerts to cabarets. The food is delicious and highly recommended. The market place in Innsbruck offers fresh regional fruits and vegetables. It’s an ideal place to fill up your backpack with regional delicacies, which you can enjoy later in the mountains! On rainy days, you can visit Innsbruck’s climbing gym, Kletterhalle Tivoli. The gym has a dedicated bouldering area and many sport climbing routes for all difficulties.